This describes a "quick start" process for setting up Grunt to lint your code using its jsHint plugin. Head's Up: this post from 2015 is still valid and Grunt is a great tool, but if you're just getting started with build tools you should also take a look at Gulp. BTW, while jshint is an incredibly useful (some would say essential) tool don't get overconfident if your code passes its validation. Always keep in mind: lint-free code isn't necessarily efficient code. For general info see the About jsHint page, and here is their docs page with configuration options. For info on the jsHint plugin for Grunt see its github page. 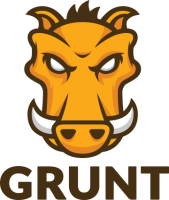 What follows is a walk-through of a basic installation of Grunt and its jsHint plugin. At the end of this you'll be able to run jsHint on a project's .js files with a simple Grunt command and send the results output to a file as XML. Grunt is a Node.js module. That means to use Grunt you'll need Node installed (stable version 0.8.0 or later). You'll use the Node Package Manager (npm) to install the Grunt module and its jsHint plugin. Grunt instance in your project: This is what actually runs the tasks. Installed at the project level (so, you'll have one Grunt instance for each project that uses Grunt). package.json: metadata on your project. Used by Node package manager. Metadata includes project name/description/version, the node modules your project uses (i.e., its dependencies), the specific versions of those modules. Install the Grunt command line interface (CLI). Once Node is installed you can start installing Grunt. First you need to install the Grunt command line interface. You will do this globally, but note that only the CLI is installed globally (instances of Grunt itself are installed at the project level). To install the CLI globally execute: npm install -g grunt-cli. The –g option is the option parm for global installation. Important: the CLI is a one-time install, you do NOT do this per project. Once the Grunt CLI is ready you can start installing Grunt in a project. As noted above, Grunt instances are created in your project, not globally. While this takes a bit more disk space it has the enormous advantage of allowing different versions of Grunt for different projects. The version of Grunt used by each project will be recorded in the Grunt project metadata (package.json). Having this in metadata avoids any version confusion if you share this project with others. Create a package.json in your project. To install Grunt in a project move to the root directory of the project where you want to use Grunt. The first thing you want to do is create that metadata file, package.json. You could just create it "manually" — that is, create a text file named package.json and then paste in the text shown below. However, these steps will use the npm init command to create a basic package.json. The npm init command prompts you for info on your project, providing intelligent defaults as needed, then creates the file for you. So, in your project's root dir execute: npm init . Answer the prompts to create your package.json file. For this simple setup you can accept defaults for everything. You can provide a git repository if you want, but it isn't necessary (though leaving this field blank will generate some warnings when you do installs). Install Grunt. Ok, now that we have the file Node will use to store project info we can install our Grunt instance in the project. From the project root dir execute: npm install grunt ‑‑save-dev (again, note those double dashes before the save-dev option). The save-dev option adds grunt to the project devDependencies metadata. Create your gruntfile.js. We're almost done. Now we'll create a gruntfile.js in the project dir. This file contains your instructions for Grunt — i.e., it tells Grunt what to do and how to do it. Below is a sample you can use for this installation. Just paste the contents into a file named gruntfile.js in your project root directory. NOTE: the options shown here are just examples, you'll want to specify the jsHint options that work best for your project/team. // The assignment below is NOT part of a normal gruntfile. // It just lets you introduce a problem for jsHint to find. // just whack the semicolon in the assignment below. Lint your code. Ok, at this point we're ready to lint. From any project dir execute the grunt command. This command with no parms will run the default task(s) you've specified in gruntfile.js. Note that you can run the grunt command from any project dir because Grunt will search up the tree to find your gruntilfe.js. You can also "manually" run a specific task by passing it as a grunt command parameter, for example grunt jshint. See the Grunt site for more info on command options. Check that output file jshint.xml. If jsHint found no problems then the contents of jshint.xml will be a simple XML shell with no warnings or errors. If it does report warning or errors then correct the problems or set your jsHint options to suppress warnings as required by your project (options for this listed on the jsHint options page, and here is a good site explaining some of those warning and error messages in a bit more detail). This post has kept things simple in order to get you up and running quickly. However, there is lots more to Grunt (and jsHint). For example, Grunt has a watch plugin which can run a process whenever a file changes (so, using watch you could auto-run a jsHint scan on files whenever they're saved). For more detailed info on Grunt see the resources below. Hopefully you'll find that Grunt and its many plugins speed and simplify your development process. Techneblog's "Automating Your Web Workflow with Grunt.js"